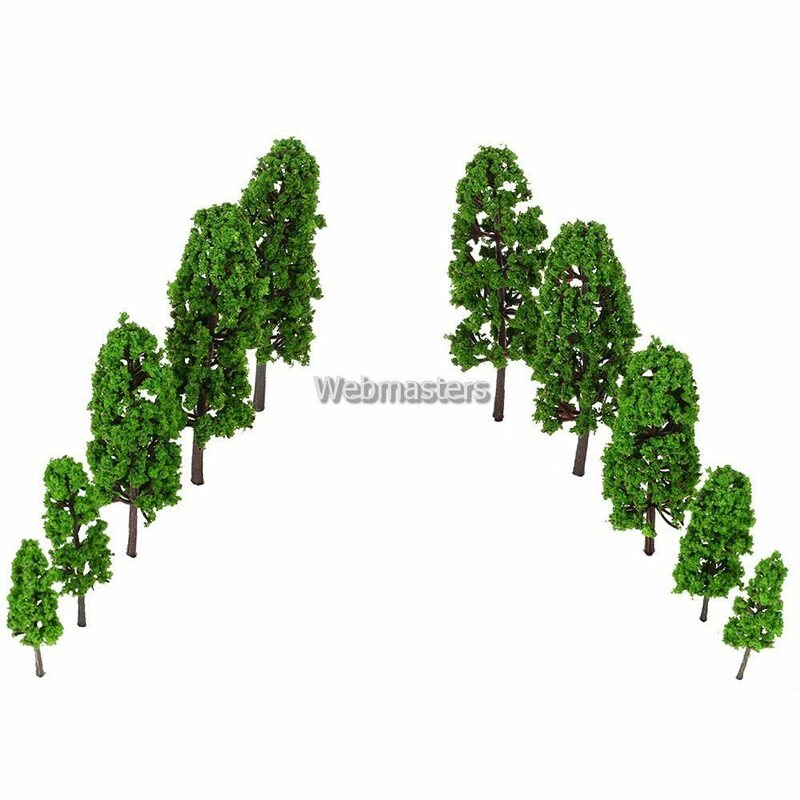 This 20 pieces bright green trees is perfect for adding a touch of realism to the sides of your track, enhance the appearance of your model landscape. This model trees can be used for your train layout, garden scenery, wargame landscape etc. The trunk is especially coated with an exclusive material to form an accurate trunk and lifelike bark. A bundle of super fine branches are twisted together to form a trunk. It comes in bright and realistic colors.